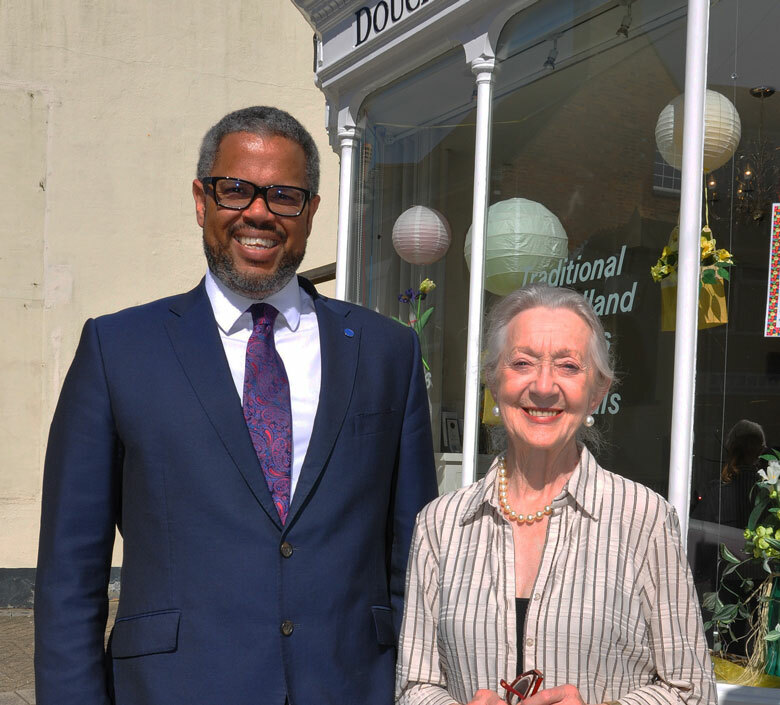 Nick Douch, MD of Douch Family Funeral Directors, with Thelma Barlow, who played Mavis in Coronation Street. 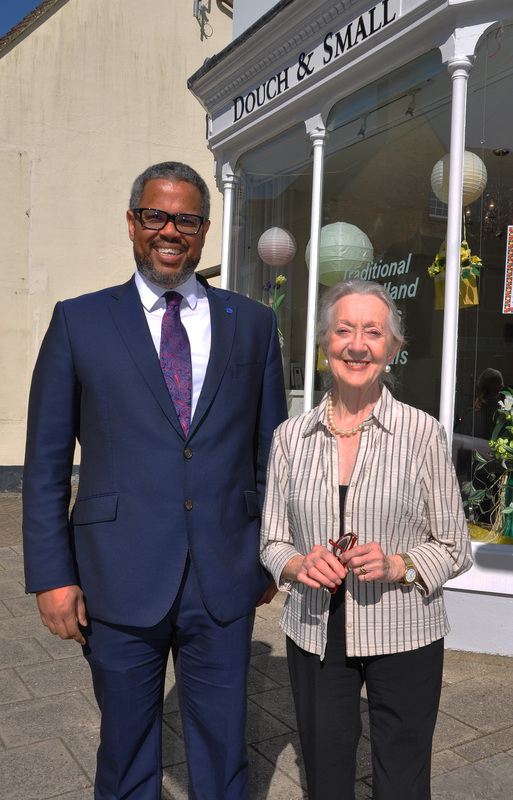 Dorset resident Thelma Barlow who played Mavis in the soap opera Coronation Street is supporting a charity event before she moves away from the area. The much-loved actress, 86, who also played alongside the late Victoria Wood in the hit comedy Dinner Ladies, has lived in Swanage for 13 years. But she has decided now to move to Kent to be nearer her son. As a final thank you she is supporting a quiz night and auction organised by James Smith Funeral Directors to raise money for the charity EDP Drug & Alcohol Services. And the top lot is lunch/dinner for four with Thelma at the Isle of Purbeck Golf Club. Derek Trotter from the funeral directors has organised the event that is being held at the Swanage Conservative Club on Friday May 6, with doors open from 7pm for a 7.30pm start. Donated lots include gift vouchers for Fontwell Park racecourse, a family pass for Swanage Railway, chocolates, photography, wine and a studio tour of Hot Radio. But the highlight is dinner with Thelma who is a supporter of EDP Drug & Alcohol Services that helps people address their drug and alcohol misuse. A fundamental belief underpinning its work is that, given the right support and resources, people can and do make remarkable changes. The charity has a long-established centre in Swanage and works across the South West. James Smith Funeral Directors is part of Dorset’s Douch Family Funeral Directors and Nick Douch, managing director, said: “We have supported EDP before and they do excellent work. “Derek has been involved with the charity’s branch in Swanage over a number of years and we hope lots of people will turn up on the night to support the event and bid generously for the prizes. The actress was in Coronation Street for 26 years and her character Mavis worked in ‘The Kabin’. She left the soap in 1997 after the departure of her on-screen husband Derek. Information on the event can be found at the Douch Family Funeral Directors website and Facebook page.